Over five decades of economic and technical assistance to the countries of Africa and the Middle East have failed to improve the life prospects for over 1.4 billion people who remain vulnerable. Billions of dollars have been spent on such assistance and yet little progress has been made. Persistent hunger and hopelessness threaten more than individuals and families. These conditions foster political alienation that can easily metastasize into hostility and aggression. Recent uprisings in the Middle East are emblematic of this problem. 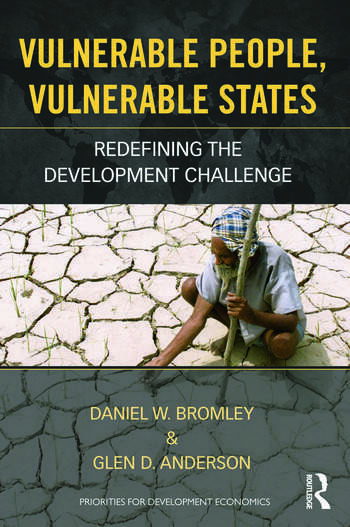 Vulnerable people give rise to vulnerable states. This book challenges the dominant catechism of development assistance by arguing that the focus on economic growth (and fighting poverty) has failed to bring about the promised "convergence." Poor people and poor countries have clearly not closed the gap on the rich industrialized world. Pursuing convergence has been a failure. Here we argue that development assistance must be reconstituted to focus on creating economic coherence. People are vulnerable because the economies in which they are embedded do not cohere. The absence of economic coherence means that economic processes do not work as they must if individual initiative is to result in improved livelihoods. Weak and vulnerable states must be strengthened so that they can become partners in the process of creating economic coherence. When economies do not cohere, countries become breeding grounds for localized civil conflicts that often spill across national borders. Daniel W. Bromley is Anderson-Bascom Professor (Emeritus) of applied economics at the University of Wisconsin-Madison, and Visiting Professor, Humboldt University-Berlin. Glen D. Anderson is Senior Manager at International Resources Group, Washington, D.C.